The first member of the PIKK family to be cloned was the target of rapamycin (TOR), which was identified through a yeast screen to identify mutants that were resistant to the growth inhibitory effect of rapamycin . 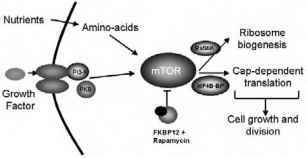 The mammalian protein is termed mTOR, FRAP (FKBP-rapamycin associated protein), and also RAFT (rapamycin and FKBP target) [20-23]. 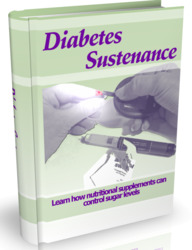 Recent research has indicated that mTOR is a central controller of cell growth. By targeting mTOR, rapamycin blocks T cells in the G1 phase of the cell cycle . This prevents T-cell activation and proliferation in response to mitogenic stimuli and results in immunosupression . Signaling to mTOR is thought to be mediated, in part, by activation of a PI3K-dependent pathway that may involve PKB/Akt (Fig. 2). Once activated, mTOR is believed to modulate cap-dependent translation and ribosome biogenesis through phosphorylation and regulation of 4E-BP1 and S6 kinase, respectively [9,10]. The TOR proteins have also been shown to be somehow involved in controlling other sets of cellular growth events including transcription, actin organization, membrane traffic, and protein degradation [9,10]. mTOR is also now regarded as an attractive target for chemostatic anticancer therapy, and an ester derivative of rapamycin (CCI-779) is currently undergoing evaluation as an anticancer agent . Figure 2 A model of mTOR signaling pathways that modulate transla-tional control as elucidated from studies on mammalian cells. 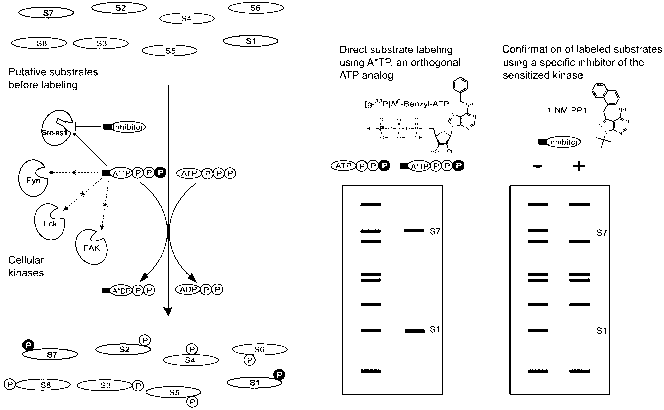 Figure 1 The domain architecture of the PIKK family; human proteins are shown (see text for details).